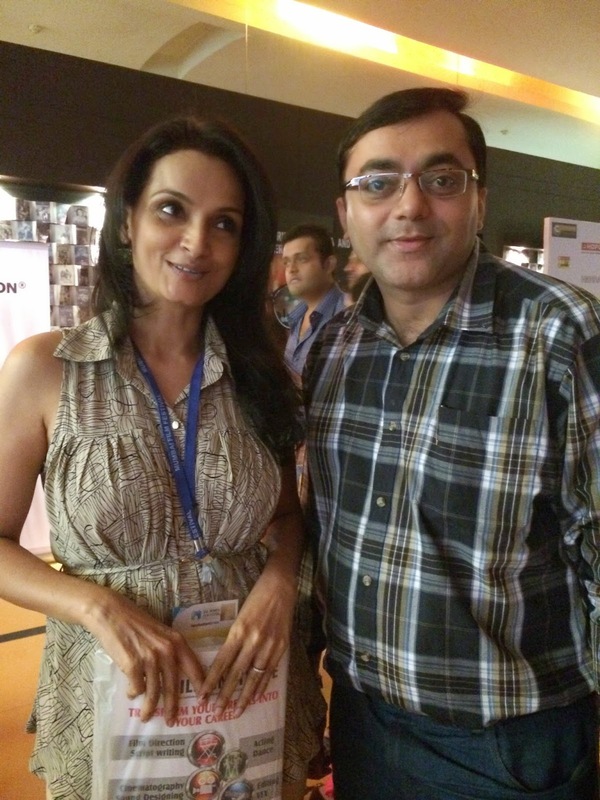 With the charming actress Rajeshwari Sachdev. Some coincidences are beautiful and our meeting recently has been one amongst them. Rajeshwari plays the role of a housewife in the upcoming Hindi Movie "Dombivli Return". The movie speaks about a common man named "Anant Velankar" from Dombivli coming from Marathi family whose lead role has been played by actor Sandeep Kulkarni. Great work by the team who worked in synergy . . .